This badge earner is recognized for their knowledge with a specific IBM product or solution. 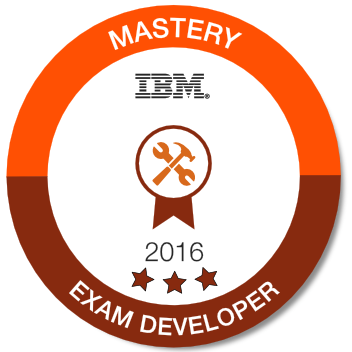 They are able to work within defined processes and collaborate with other team members to develop an IBM Mastery Test. They contributed significant time in the development of three IBM Mastery Tests.